While we sometimes tend to think that young people are not as financially aware as they perhaps should be, recent research carried out by UK financial firm icount reveals that young adults in the UK may be more financially astute than they are often perceived to be, especially when it comes to thinking about saving for retirement. The research – which is presented clearly in the infographic below – revealed that when 1000 people aged between 18 and 25 in the UK were asked at what age they thought they should start saving for retirement, around 50% of them said that they needed to start thinking about it between the ages of 20 and 29 years old, rather than during the older age brackets which they were offered to select as part of the survey. There were also some other interesting points thrown up by the survey but I’ll let you have a look at the infographic itself before discussing those. While it is good news that young adults are seeing the need to start saving and investing as early as possible for their retirement years, sadly it seems that not all of them actually follow through with their good intentions and start putting that money away. We know this because the research also revealed that the average age when people begin to actually start saving is more likely to be in their early 30’s. The responses to the survey also differed somewhat depending on which part of the country was being surveyed, with East Anglia, The North East, The South West and The South East leading the way when it comes to prioritising retirement saving at a young age, while those in Northern Ireland and the East Midlands seemed to have a more relaxed attitude towards the subject. It was a survey of just 1000 people, of course, so it’s possible that these regional findings might differ if a much larger survey were to be carried out. With all of the governments recent changes to the UK pension system, it has never been more important for young people to find out exactly what they are likely to be entitled to receive by way of a state pension and at what age they are likely to be able to retire. Once you have this information, you will then be able consider carefully the kind of lifestyle you would like to have during the retirement and then make arrangements to supplement your retirement pot by increasing your savings and investments. At what age do you think we should start saving for retirement? 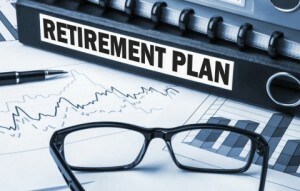 Planning for your retirement: How should it be done?